Recently, in an “alarming” and, dare I say, dangerous move by the Ontario Police College, they have scrapped their physical fitness testing protocol for new recruits. The Physical Readiness Evaluation for Police (PREP) test is something that was utilized by the college to assess general physical fitness, endurance, and strength. This test was already a fair testing program and has already been modified several times throughout its existence, to accommodate those who could not pass. Both my husband and I were previously Police Officers for 15 years. We have witnessed many of the problems Police Officers already face with Fitness and Health. Many Officers that were hired and sent to the Ontario Police College for training, were unable to pass the already, low standards of the police testing, and needed to train harder to pass them if they wanted to be successful and continue with their career. This gave them a goal to work harder on their fitness. 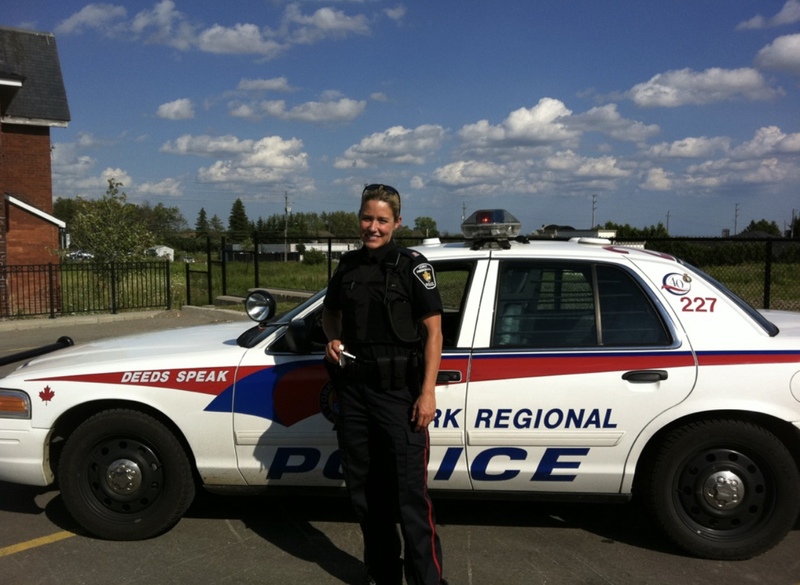 PREP is being done away with at the Basic Constable Training Program, in favour of a foot-chase course. The foot-chase course won’t be graded by a pass or fail, nor will a successful completion be mandatory in order to graduate. I want you to just stop and re-read those sentences again. 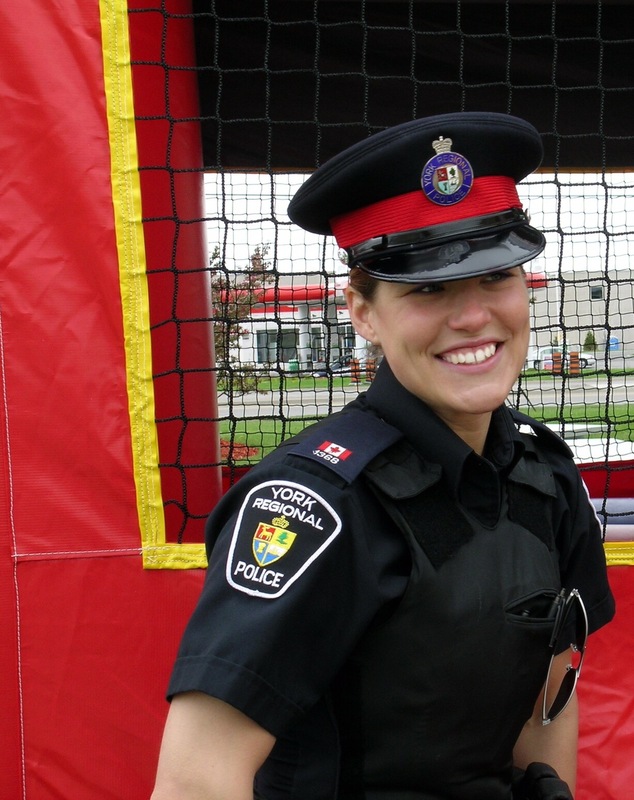 In a nutshell, future potential Ontario police officers are no longer to be required to be fit. a spokesman for the Ministry of Safety and Correctional Services said in a statement. How the individual services will implement that will be up to them, but you can only imagine how swamped departments/divisions are already, and how the police officers’ time is already being taxed to the brim. As a former cop, this is terrifying. I can’t stress enough how important it is for front line officers to be fit on duty. I’m appalled at this decision to remove both the PIN testing, which is in place for current serving officers and is not mandatory, and the PREP exam because when you’re in a fight with an offender, or in a situation where you need to be readily available to help the public, being fit is paramount. Your partners also depend on you for being ready to run, jump, hide, climb, defend, or attack at any time. My co-workers never had any hesitation when I was their back up because I was always physically fit and knew how to handle myself in any situation. This is how it should be with any law enforcement. My husband was a Police Dog Handler and depended on uniform officers to cover him on dangerous calls, tracking or searching for suspects of violent and serious offences. This often required jumping fences, running long distances with heavy equipment and doing it in extreme hot or cold conditions at times. His safety depended on the cover officer, who generally was the first available uniform officer on scene to assist. Many times, officers could not keep up on the track, causing a safety issue to the canine officer. Imagine with no limitations or standards of physical fitness levels? Officer and Public safety will be at an all time high risk. The fact that the college just needs bodies on the front lines, so they’ll pass anyone, is like the army sending a young teenage kid into war with just a gun, because they need the manpower. This kid has no base of physical fitness to speak of, but he has armour and weapons; so what do you think his first mode of attack will be? Certainly not peaceful resolution, or trying to restrain an assailant aggressively. No! He’s going to use the weapon if he can’t outrun the offender, or feels he needs to defend himself immediately. I just think this decision is ludicrous. If the police force needs more cops on the street, then they should give those students at the college level more physical fitness courses in order to help them pass the PREP/PIN tests; taking them away doesn’t do anybody good. Police Officers work long hours, shift work, and deal with high stress situations on a daily basis. Being out on the road, it is not always convenient to go back to the station to have a lunch break, which in turn results in officers eating takeout food as their diet. This mix of high stress levels, shift work and poor eating, results in many officer being out of shape, unhealthy and overweight. Take into consideration now that the officers can already start their career in this manner, with no physical testing in place is a recipe for disaster, and as a result will increase the amounts of injuries, accidents, poor judgement and health problems (disability claims), that will in turn also effect the public tax dollars. Not to mention, this is a serious safety concern. Being Fit for Duty is NOT an option for Police Officers and never should be. So many lives are counting on that. After leaving Policing, I have devoted myself to my passion for fitness. Anyone that knew me as a police officer, will remember me taking double lunch breaks so that I could get my workouts in, and bringing meal prepped foods to ensure I was eating well. I now train many police officers who are trying to better their fitness goals, or train for fitness competitions. There are many healthy and fit officers out there that promote fitness as a lifestyle. Should we not encourage the growth of fitness amongst these officers rather then start them at the bottom? My opinion is strong on this, and I know I speak for many officers out there that can’t voice their opinion on the matter for the fear of repercussions. To all my fellow brothers and sisters in blue, stay safe and FIT. I totally agree! What bothers me with this new “foot chase” method doesn’t require the recruit to pass it. That’s just ubsurd! When I went to Police College, there were recruits there who couldn’t even pass the testing in place, despite being put through a small amount of fitness training, and having free time to work out after hours. Many officers were not allowed to continue after college, and were therefore offered civiain positions instead because they could not pass the fitness testing. Some of these people had passed it prior to getting hired and going to college though. Thanks for your comment! !